Home healing or spirit cleansing of the home are the spiritual ways of providing you effective solutions from the paranormal activities that you sense in your home. 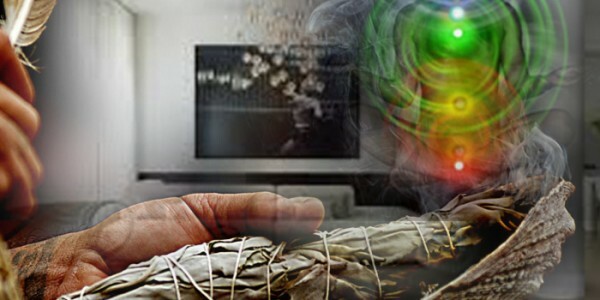 If you have ever sensed that you are not the only one in your house and felt presence of some spirits or sorts of bodies that are living simultaneously with you in your home, then home healing can provide you best spiritual solution for that. Paranormal bodies are not visible, but they can be sensed or you may say that they force you to feel or sense them through their different abnormal/supernatural activities. If your electronics turn on & off without any human assistance or if your personal possessions are being moved around from one place to other, or other things are constantly getting disappeared and then getting reappeared, then all these are signs given by paranormal bodies. You may also feel that you are constantly forgetting things and losing your mind, or sometimes your pets would be acting quite strange, you may also hear sounds or tapping or knocking. All such instances and many more commonly take place in the houses that are not spiritually cleaned. To solve all such issues, Home Cleaning in USA is one of the most preferred spiritual ways. Therefore, in such cases, you need not to be panic anymore, as We, at, Puja Yagya, provide effective remedies of cleaning your house from all types of spirits. Why Puja Yagya We have Spirit Cleaning experts who are well aware of all the techniques of Exorcism and they are fully dexterous in sensing the emotions and sentiments of spirits. “We Human Beings, emerge from Primary Source, and the Quality of Same Source is in Each of Us & in All the Other Things too. We all emerge from the spirit & the same quality of spirit is in everything.” Spirit House Healing provided by Puja Yagya is dedicated to the channelization of positive vibrations in all beings. We incorporate Vibrational Healing methods that have been developed with an understanding of the effective relationship in between substance and spirit. Our expert home-healers include all the realms that are more subtle than our materialistic existence and they also accurately know how these mystic subtle energies influence human being’s spiritual existence and physical body. Remote Healing Services Puja Yagya also provides effective remote healing services for different real estates and businesses, and if you are facing problems in selling of your real estate properties due to the presence of some paranormal spirits in your house, then our exorcists/priests are well adept for solving all such problems. Home Healing experts comprised by Puja Yagya also provide remote clearing and healing of buildings, lands, businesses, etc.